LANCASTER – The Lancaster Sheriff’s Station is seeking your help in identifying and locating the following suspects. If you recognize them and know where they might be located, contact detectives using the information next to the suspects’ photos or by calling 1-800-222-TIPS. 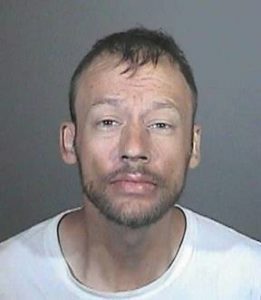 Jesse Lee Emard is a 39-year-old male with brown hair and blue eyes. He is approximately 6 feet tall and weighs around 175 pounds. 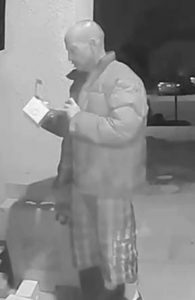 Emard is wanted for theft. He is accused of breaking into multiple vehicles. There is now a $50,000 warrant for his arrest. Anyone with the information on the location of Jesse Lee Emard is encouraged to contact Detective Gore at Lancaster Sheriff’s Station at 661-948-8466. JR Jess Mata is a 27-year-old male with black hair and black eyes. He is around 5 feet 8 inches tall and weighs around 165 pounds. Mata is wanted for theft by false pretenses. He is accused of stealing people’s money with promises of fake business opportunities. There is now a no bail warrant as well as a $105,000 warrant for his arrest. Anyone with information on the location JR Jess Mata is encouraged to contact Detective Keesee at Lancaster Sheriff’s Station at 661-948-8466. UPDATE: Suspect Mata is now in-Custody and is no longer wanted. Read the LASD update here. 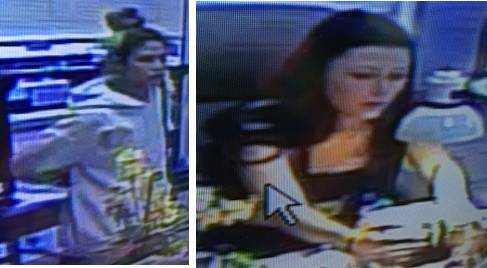 If you recognize the females in the images above, then Lancaster Sheriff’s Station detectives would like to hear from you. The suspects — one described as a white female and one described as a Hispanic female — are wanted for theft. Anyone with information on the identity or location of these suspects is encouraged to contact Detective Pico at Lancaster Sheriff’s Station at 661-948-8466. If you recognize the man in this image, contact the Lancaster Sheriff’s Station. The suspect — described as a white male — is wanted for theft. He is accused of stealing items from a front porch. Anyone with information on the identity or location of this suspect is encouraged to contact Detective Pieper at Lancaster Sheriff’s Station at 661-948-8466. 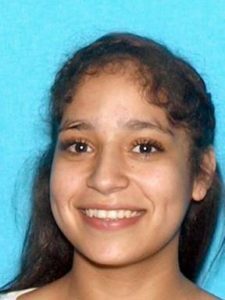 Nina Pauline Negrete is an 18-year-old female with brown hair and brown eyes. She is approximately 4 feet 10 inches tall and weighs around 140 pounds. Negrete is wanted for theft. She is accused of stealing items from an acquaintance’s house. There is now a $20,000 for her arrest. Anyone with information on the location of Nina Pauline Negrete is encouraged to contact Sgt. Bergo at Lancaster Sheriff’s Station 661-948-8466. 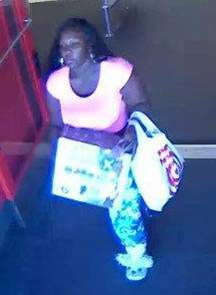 If you recognize this female, contact Lancaster Sheriff”s Station detectives. The suspect is wanted theft. She is accused of stealing from a local business. The suspect is described as black, between 25 and 30 years old, about 5 feet 3 inches tall, and around 190 pounds. Anyone with information on the identity or location of this suspect is encouraged to contact Detective Canela at Lancaster Sheriff’s Station at 661-948-8466. 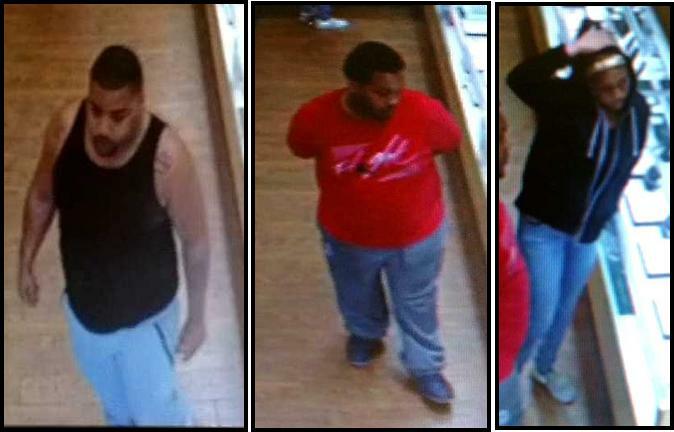 If you recognize any of these men, contact Lancaster Sheriff’s Station detectives. Anyone with information on the identity or location of these suspects is encouraged to contact Detective Canela at Lancaster Sheriff’s Station 661-948-8466. 19 comments for "Lancaster Station’s Most Wanted [Updated: 1 in custody]"
I have to agree about not having any decent paying jobs in Palmdale/Lancaster. Life is hard these days for a lot of people but It’s not ok to just steal from others/business. Those people you steal from also have rent/bills to pay. What the police should be doing is providing people with high paying jobs so they don’t have to steal. Instead,they lie and claim this is a society so they can force people to pay excessive taxes without giving accountability of spending. They also illegally force people’s children into the military with threats of incarciration. The reality is that this is a wilderness and it’s survival of the smartest. YES, that’s the ticket. Criminals all want to work! Not one of them would steal even if they had a job, because that has never happened in the history of mankind. The unemployment rate is at 3.9%. Economists consider this to be full-employment. Those that don’t have a job under these circumstances are probably disabled or people of below average intelligence. Decent, competent people can get their needs met by competing in the free market. Those who are resorting to shoplifting from their local Target are probably low-IQ people who wouldn’t stand a chance competing in the free market. Jobs can’t fix these people, in fact, nothing really can. Agree about AV’s unemployment, but of course it is high because most of the LA county trash lives there. US unemployment rate is 3.9%, this is correct. Talk about making up numbers. You got to be the ring leader of the dumb dumbs. 80% lol get out of here with that [removed]. Take respondibility for yourself and stoo blaming others. Ignornant..
80% unemployment in the AV? Really? Where did you get that figure from? Look at the help wanted sections of any area newspapers and online sites. You can access companies and stores directly, there are so many different ways to find and apply for jobs these days. The only excuse to not having a job these days is you want an excuse to not work. I won’t say where I’m guessing he got that number, but I wouldn’t handle it without gloves. There are plenty of jobs, actually. But it’s a matter of applying for the jobs, getting them and being able to hold them by showing up on time, doing what’s expected and not creating drama in the workplace. It’s not really that difficult, actually. The only reason not to have a job right now is because you’re lazy and expect the county and state welfare system to carry you. If this is your outlook on life, then should probably decamp and move out of California to another state. People with no skills who can’t function and contribute to the workforce really have no place in California anymore. I’m not saying those people are correct, but at the same time the police put too much effort in doing everything and they pull away resources from investigating organized criminals who run a trillion dollar drug empire. Those gangsters are responsible for the murder of thousands of law enforcement officers. The hypocrisy of the police is backfiring on them. A business should hire private security to stop shop lifting while police focus on deadly criminals. You don’t really want the police to focus on “deadly criminals”. This is just an excuse to get the heat off of the shoplifters that you seem to be so fond of. Survival of the smartest? This hypothesis would seem like a real challenge for you to defend. Yeah, you’re right. And the other 5 all look like 0bama supporters, so now what?